Villa Gorilla independent study offers a very particular view of the genre of 2D platforming adventures. A video game that we have already enjoyed in its version for Xbox One and that has captivated us for its proposal. Analysis of Yoku’s Island Express. I never tire of reiterating how much I like to meet new proposals. Works that, even if only in a concrete aspect, offer something refreshing compared to what the vast majority of the games that appear throughout the year usually bring us. 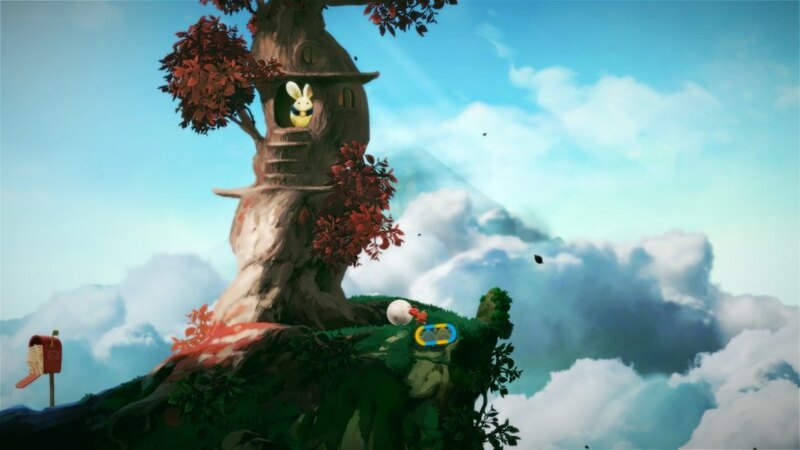 Fortunately Yoku’s Island Express is one of those video games that have something special. An interesting production that is enjoyed a lot from the first moment thanks to a very open game system that knows how to catch anyone who enters it. Without being the most original videogame in the world, what is clear is that the developers have wanted to provide certain quotas of innovation to, on the other hand, a really classic style of play: the adventures of the plataformeras in 2D with high doses of exploration . A very absorbing game system that gives enough of itself, especially if we want to discover all the ins and outs that lie behind the paradisiacal and curious island to which the protagonist of this story is going to stop. Yoku is a red dung beetle that, after a long journey, goes to a tropical island called Mokumana . And what should he do there? Well instead of taking a break and enjoying the views as it was the intention of the character we control, as soon as he arrives he must replace the Carterodáctilo so that he takes over as postman of the island. An activity that, far from being tedious and, above all, quite monotonous, becomes a very pleasant task, entertaining and full of challenges to be overcome. 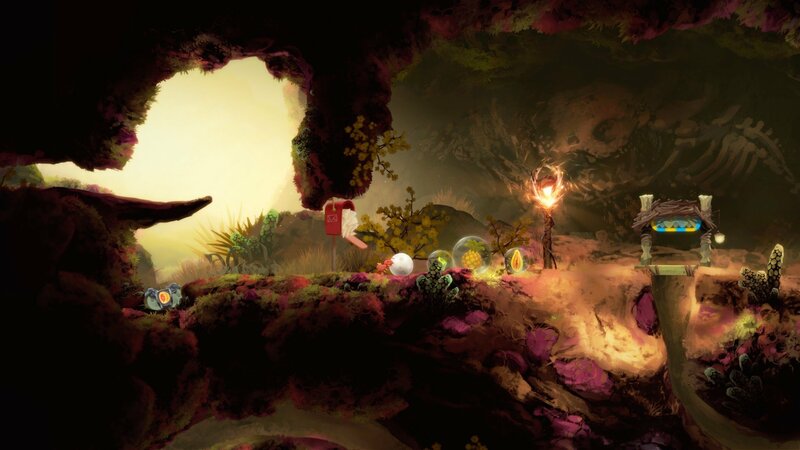 Exploration and pinball The gameplay offered by Yoku’s Island Express has been very interesting for me. Throughout a wider world than it might seem at the beginning, we must complete a series of missions that are entrusted to us as we move through the different areas of the island. Most of the tasks begin when we talk ( texts in Spanish ) with one of the many inhabitants of the island, types of everything less common and that, on more than one occasion, it is necessary to take a specific action to be heard. 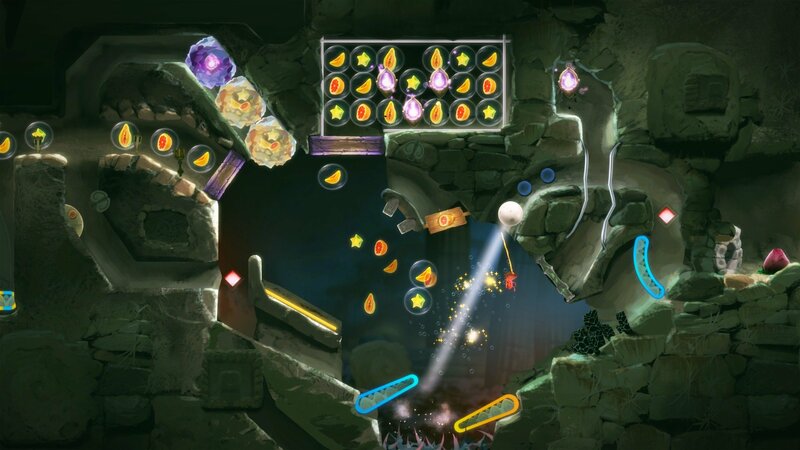 The pinball sections have not been included in a forced way, which speaks very well of the work done by the developers. In this beautiful environment many objectives await us to be fulfilled, many of them secondary . And among all they give for several hours of game (taking into account its indie character and reduced price), especially if we want to complete them all and squeeze everything that the video game hides. So far there is nothing that goes away from the usual. But what does leave the established norm is the way in which it is necessary to fulfill each of these tasks. 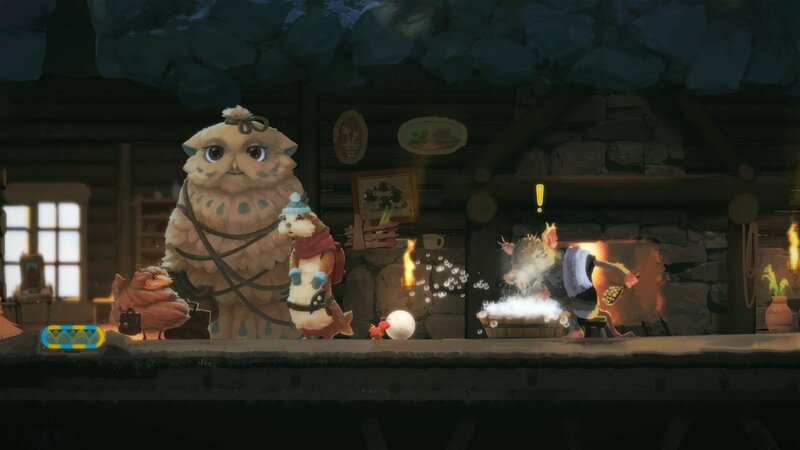 Yoku always pushes a ball (like a good dung beetle) to which it is tied, an object that acquires a huge role throughout the adventure. The reason is that in a very fluid way and that it is not forced at all, the sections are being combined in which we must advance in a traditional way through the scenarios with others, the most interesting ones, in which the elements of the pinball games . A point in favor of the title is its sensational handlingIt is more than plausible how well the game formula embodied in this adventure works. And although at the beginning the challenges that it poses to us are rather acceptable, little by little they get complicated, being necessary even to participate in some curious battles against several final bosses . But returning to the theme of the pinball sections, it is surprising how wisely integrated all of them are. In addition, the behavior and physics of both the ball and other objects that can be found (like coconuts and other fruits) is very well achieved. And to this is added a great design for the improvised “tables” that, in addition, in many occasions present several “levels” or areas to which we are going to stop after fulfilling certain objectives. The mapping has been drawn by hand and has a magnificent coloring and very attractive designs in global. Leaving aside these pinball areas that, I reiterate, are not separate areas but have been very well implemented in the design of each scenario, it is necessary to perform other tasks that bring even more grace and variety to the overall game system. The exploration , for example, is essential, being necessary progresses along a fairly wide mapping filled with secret areas, treasures getting going and, importantly, fruits to be collecting. These objects come to be the “currency” of the game, and are essential to unlock certain areas, triggers and paddles that are spread across the stages. And then there are the puzzles, which although they are not too frequent, bring even more diversity to the general approach. We can talk in Spanish with a good number of secondary characters who, on many occasions, ask us for favors. Another point in favor of the title is its sensational handling . As simple as it is precise, it is very intuitive and easy to control both the protagonist during the free exploration zones along the 2D environments and, also, to handle the classic side palettes (the flippers) of the pinball games, responding in a perfect at our orders. 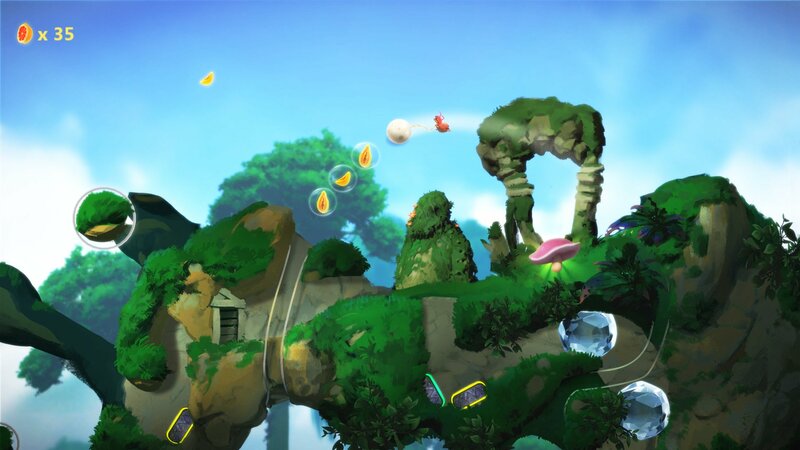 It is one of those games that have something special.For all this it is difficult to put a but the gameplay that poses Yoku’s Island Express, since it has no weight defects. We may have missed the integration of RPG elements, (although it is possible to acquire new objects that give us certain skills), moments of intense action, perhaps a cooperative mode and other factors that would have contributed even more quality and variety to the development. But, beyond this, it is a title very well recreated in terms of its gameplay is concerned … and, also, in everything related to its striking aesthetic. The island that hosts the adventure has been drawn by hand and has a really exuberant color. Its numerous corners enjoy an excellent visual appearance, as well as fantastic lighting. It’s nice to explore the world in which Yoku lives, I guarantee it. The secondary characters, that is, the inhabitants of the island do not enjoy the same aesthetic brilliance, but they do not detract either. A very remarkable visual finish in any case that has been accompanied by a soundtrack of environmental cut and sound effects somewhat limited but well done. 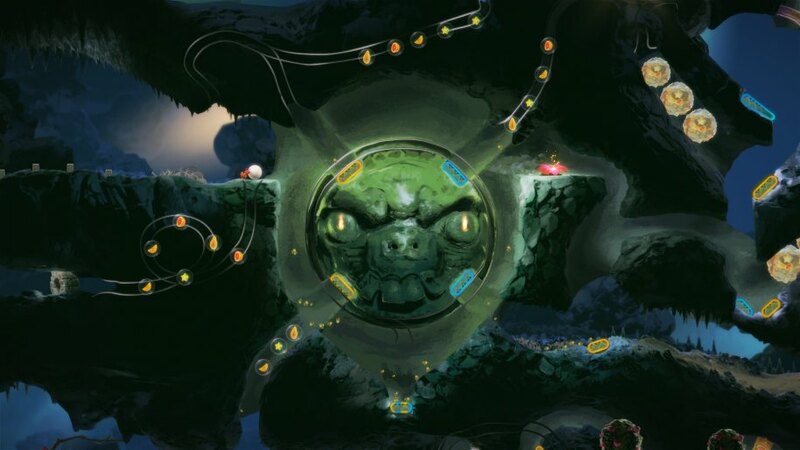 Villa Gorilla has signed a remarkable work developing a 2D development adventure where exploration and platforms are combined in a sensational way with multiple elements linked to the world of pinball. A very original gameplay that, fortunately, has also been well captured. An entertaining and very showy title in general terms.